With all the flashing lights, bubbling Champagne, glittering confetti and that special midnight kiss, don’t forget to step outside and feast your eyes on the rare blue moon set to appear this New Year’s Eve! As amazing as it would be to see an actual blue-colored moon on New Year’s Eve, the bright night will be lit with a white moon. A blue moon is, by definition, the second full moon in a month, which only occurs (on average) every 2.5 years. 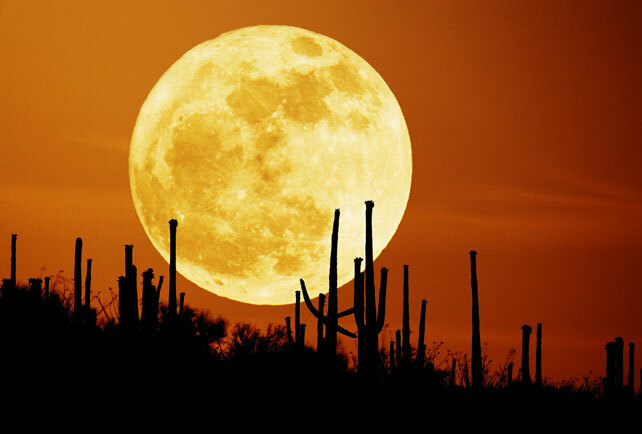 A full moon lights up the sky every 29.5 days. And the last time there was a New Year’s Eve blue moon was in 1990! This month’s first full moon occurred on Dec. 2 and the last time there was a blue moon was in May 2007, according to the Associated Press. Only those spending New Year’s Eve in the states, Canada, Europe, South America and Africa will enjoy the extra party favor. Those in Australia and Asia can see the bright moon on New Year’s Day, making January a blue moon month for them. But those on the Eastern Hemisphere have the added bonus of a partial lunar eclipse on New Year’s Eve. This is when part of the moon enters the Earth’s shadow, according to the Associated Press. The next blue moon on New Year’s Eve won’t take place again until 2028. Enjoy this “once in a blue moon,” brilliant sky. Happy New Year Arizona!